Jo has been the Head of Communications for the Human Fertilisation and Embryology Authority for three years. She leads the five-strong communications team who deliver all aspects of communications to patients, professionals and the public. 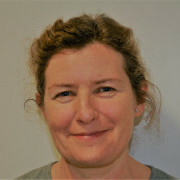 Prior to joining the HFEA Jo worked in the NHS leading the communications functions at a mental health and acute services Trust.